8mm Forum: How do 35mm prints get into circulation? 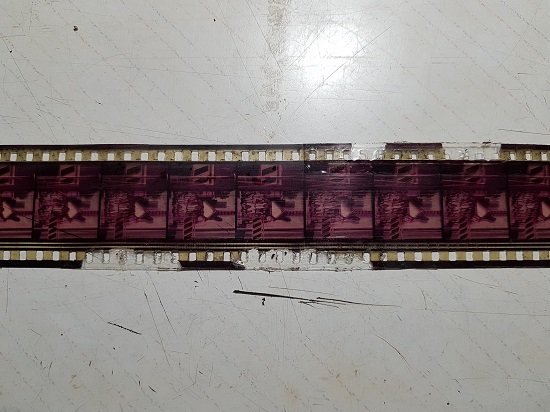 » 8mm Forum » General Yak » How do 35mm prints get into circulation? Author Topic: How do 35mm prints get into circulation? 16mm has become very available worldwide, but i am seeing quite a few 35mm prints come up for sale, mainly on ebay. I was wondering about the legality of these being for sale as i would assume that these prints were produced by the film companies for the cinemas. How did the cinema chains receive these and return them? I assume at some point some the prints got "lost" somewhere along the line. I hope your not getting tempted Tom ? Keep your hand on your Ha`penny. PS I don`t think they are too fussed these days with BR pirating and downloading etc being more of a worry. Most people who buy a 35mm print probably already bought it on VHS, DVD, and Blu Ray so paid anyway really. Besides, imagine the space you would need. 35mm cinema prints were sent from a distribution agency and returned to them after showing. In Somerset they usually came from Cardiff. First run houses often had prints direct from a British lab. After showing they were often sent to a local second-run cinema. For many years transport was by FTS, Film Transport Services, who would be waiting outside the cinema from about 10 o'clock to collect. The films would travel overnight to the next cinema. I realise that this does not answer the original question but maybe 35mm prints get into circulation the way 16mm prints did. Thanks for the information Maurice, that makes me wonder even more how some of these big prints, (inc 70mm) got out to the general public and end up being sold on auction sites. I remember Bob Monkhouse getting into trouble for having a 16mm collection. I believe we have to thank Bob Monkhouse for as it was this case that proved the legality of owning 16mm prints by collectors. Yes your right there, he also helped to recover and restore a number of the films he had. The legality issues of owning 35mm films not only about the copyright issues but also because this format has never been sold by studios to anyone. Similar to cars from Budget or Avis as long as they are not sold to public, the cars still belong to these companies no matter what. Who ever found driving this type of car need to return it, no matter he/she legally rented it, or found a car unattended in a parking lot, or he/she bought the cars from someone. 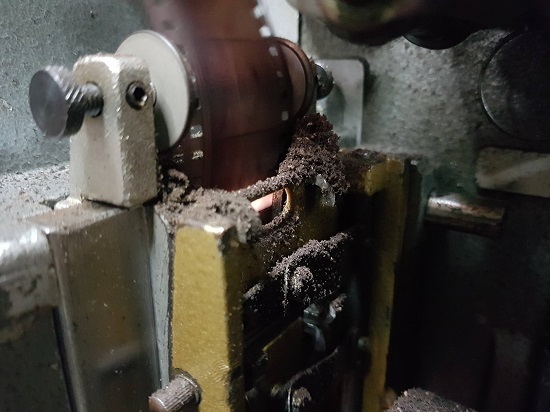 So how the 35mm can now be outside the studios, I guess someone took it out from the circulation when cinemas were asked to return the prints after screening them. Winbert when I worked for "Avis" back in the 1970s we used to sell them to the public as X rentals after a couple of years of use. Back in the eighties, National Screen Services would occasionally toss 35mm prints in the garbage. I knew a film collector who would go dumpster diving when he was alerted the NSS in his area was getting rid of film(that's how he acquired his print of Who Framed Roger Rabbit). Anyhoo, on one such trip he grabbed a print of Mothers Day not knowing it was the non rated gore fest. After viewing part of it, he wound up throwing it it back into the garbage. Tom- Haven't you still read "A Thousand Cuts" and "Magnificent Obsessions"? Tsc,tsc,tsc!! I believe that Bob Monkhouse was accused of fraud, but not of owning 16mm films. I seem to recall that he was asked by a friend to supply a 16mm film for a party, so Bob loaned one of his own prints. The distributors who had this film in their library sued Bob for fraud, saying that they had lost out on the rental fee. A fiend of mine (now deceased) had a large collection of 16mm prints and used to show them at his local village hall where the audience paid for admission. However, he always got the permission of the library which owned the film's copyright and paid them the correct fee for public exhibition. He told me he didn't want a knock on the door like Bob had received. As for getting the 35mm prints I have read on a Facebook Group of people splicing back to together prints that have been band-sawed. Yes some 35mm prints were disposed of at the backdoors of Deluxe Films here in the UK. Some may have also simply "fallen off the back of a lorry" as the saying goes. "as long as they are not sold to public" so if the cars have not been sold to public no one can claim the car as his/her own. And for the case of 35mm prints, studios never sold them to public. A few years ago we went to a cinema in Anaheim. While visiting the projection gallery of the multi-screen building I noticed a 70mm print of Diney's Christmas Carol in 3D sitting on the floor. It appears it was one of the last films shown before conversion to digital projection and no-body wanted the print. I reckon if I could have made use of it they'd have been glad to see the back of it. Probably a lot of prints entered the market around this period when individual cinemas didn't bother to return their final film showings. "I guess someone took it out from the circulation when cinemas were asked to return the prints after screening them". This is what i was mainly thinking, I also understand that some were probably disposed of as David mentioned, I guess on Winberts, (and my) way of thinking, is, did the film companies who required these prints back never investigate the dissapearing prints. While its a God awful movie and one i sat through on TV for 5 minutes then switched it off, utter trash, But seeing this turn up on ebay and only released in 2012 there is surly a source out there somewhere. Mind you, it isn't something i am bothered by, i just wondered how cinema only intended movies actually get out. They dont exactly fit your back pocket do they? Any I have just magically appeared at the end of our garden from time to time, delivered by Fairies and left just behind our Unicorn stable. did the film companies who required these prints back never investigate the dissapearing prints. My good guess is because studios never thought it would have a (significant) value to anyone. When I was in Canada, I wanted to screen an Indonesian F/L movie who won several international awards. I contacted the director to get his permission screening this via DVD. He said that he would not charge me for screening it but I had to screen it via 16mm print, the way he shot the film. I checked DHL for one way cost of shipping 2 cans (2400 feet) 16mm between Jakarta - Toronto. Paying someone a v.v ticket would be no hassle with custom people, no need to fill any document, and faster because only point to point between the director and me. I canceled the screening because that was a non-profit event, and we were running out the budget. That is a 16mm ...you can guess what will be the cost for 35mm prints. 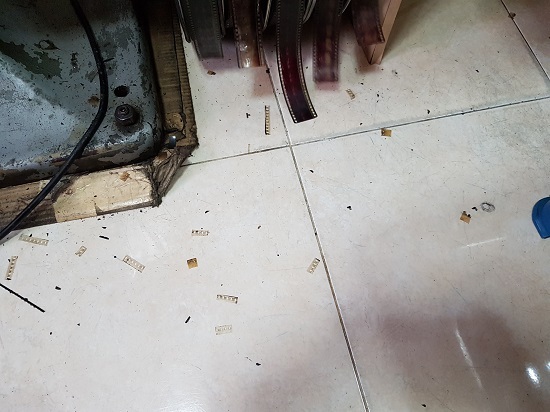 So perhaps during that time, many 35mm films were circulated but studios only need a statement from the cinemas that they have destroyed the prints without need to return the print physically. There is no point for studios paying the return shipping cost, knowing prints would have been worn/scratched. For some reason, cinemas did not do this and studios did not also investigate it due to non significant value of that. In Indonesia, I have seen someone screening 35mm print of Spider-man (2002) . Coool heh...! And here's the practice in this faraway land - namely Thailand. For other distributors,they're pretty "flexible" for their rules. After initial countrywide theatrical realese,most prints would go to sub-distributors running open-air shows. 99% of them would be one way ticket - they're practically "sold" to the sub distrobutor,and eventually used to death. Some prints that survived this normal route would end up in collector's hand. Rest assured that they're worn out beyond presentable condition of course. PS this is quite an extreme case...but you got the idea.